There is a new age of affordable satellite broadband for businesses and consumers across the Middle East, Africa and Europe. Arabsat Broadband Services have launched Arabsat Expand, a satellite broadband service powered by Forsway’s unique Hybrid Router technology. The service was designed and implemented by satellite services specialist SatConsultant for Arabsat Broadband Services. Foresaw Scandinavia AB is a Swedish Technology company focusing on innovative ways of deploying broadband services. The deal will see Forsway’s innovative hybrid router, ODIN™, at a total kit cost of around US$100 per station, enabling the satellite operator to launch affordable new broadband internet services for as little as US$5 per month, helping bridge the digital divide to new customers in remote rural communities, as well as providing new, more reliable, and lower-tariff services to urban users. Christof Kern, General Manager Arabsat Broadband Services said that this is the first service offered by Arabsat's newly created business unit for Broadband Services. They have found the Forsway technology reliable and useful for providing these services in areas where the performance of the internet is questionable due to under-performing 2G and 3G networks. Anyone who is suffering from a low bandwidth service today will be able to increase their speeds with this new service; it is literally bringing the entrance barrier to a price level everyone will be able to afford. They will offer competitive entrance models to empower businesses and end-users alike throughout Africa and Middle East. Arabsat Broadband Services will deliver Arabsat Expand through previously unused bandwidth aboard its satellites. This will increase capacity, thereby reducing congestion to deliver an excellent customer experience with a faster internet download speed and at reduced costs. ODIN™ allows any type of narrow-band return channel to be linked to the high-throughput Ku-/Ka-Band satellite bandwidth on Arabsat's BADR-7 satellite in remote locations across almost the whole of the Middle East and Africa. 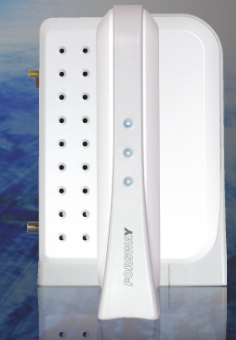 The Forsway solution is a unique fit for the problems of satellite broadband, especially in urban areas. 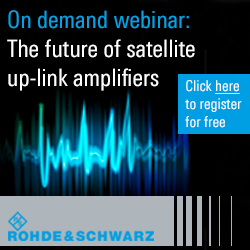 Tobias Forsell, Managing Director of Forsway said that while bandwidth prices tend to dominate discussions of the fitness of satellite as a mass-market service, hardware costs, ease of installation, and licensing requirements are all huge obstacles to overcome. A complete kit with their ODIN™ router can be had for less than $100. It can be installed by anyone who can point a satellite TV dish, with no interaction from a network operations center. And, because there’s no satellite transmitter, there’s no need for a VSAT transmit license. Up to 10 Gigabits of internet connectivity will then be routed through Arabsat’s BADR-7 satellite to support the new services from these locations. Both Ka- and Ku-bands can be deployed for this service, making use of the satellite’s full Ka-/Ku- footprint over the whole of the MEA region, as well as parts of Southern Europe and Central Asia. “This project flips the use of satellite on its head,” said Travis Mooney, Principal Consultant of SatConsultant. He continued that satellite is now ready to compete against terrestrial connectivity in urban areas, and not just in areas unserved by fiber and wireless connections. And as long as the industry wakes up to the availability of this new business model, the technology and the approach, the days when satellite bandwidth and CPE were way too expensive for users of all kinds are over.